How many of you are reading this on a personal smart device right now? How many are reading it at work on a company computer, but still have a smart device somewhere on your person. There’s no denying that smart devices have proliferated at a dizzying pace. Over 50% of Americans now use smartphones, with that number expected to rise in years to come. 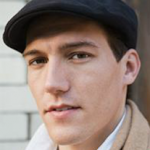 As such, businesses around the world are looking for a way to use these statistics to their advantage. 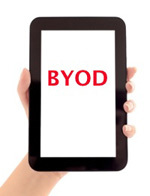 New BYOD (Bring Your Own Device) policies are either already being implemented or are in the works for 62% of companies, with 90% expected to have adopted BYOD policies by 2014. But what actually is the big deal? Well, let’s take a quick look at some of the benefits to employers (and employees) when a BYOD policy is put into effect. 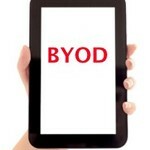 Most of the companies that have adopted BYOD policies have noticed an increase in productivity. BYOD makes this possible by allowing employees to be more flexible in their work, and by fostering creativity, collaboration, and personal responsibility towards the devices in question. The result is an extra 37 minutes of productivity on average per week, which adds up to quite a bit over the space of an employee’s career. This is in part because it gives the employees the ability to work from home. Of course, with separate company devices, chances are they already had that option. The difference is that when a single device is used for work as well as personal needs, employees are much more likely to spend that time at home working. At the same time, personally owned work devices allow employees to stay abreast important company emails and telephone calls. There’s just something about being able to work with your own devices. You seem to understand them better, and they, in turn, understand you. Additionally, most employees have a fair idea of what their jobs entail. As such, it should really fall onto them to decide what tools are best suited to help complete that job. Basically, BYOD allows employees more freedom in how they complete their tasks, which has a way of increasing moral. Rather than having to conform to predetermined devices or programs, workers can stick with what works best for them.